Discussion in 'Hardware Components and Aftermarket Upgrades' started by AHMED KARAM, Jul 4, 2017. Maybe one of your old screen shots from a benchmark will show it in GPU-Z. I will look for one of them. That is MSRP for a reference model, not a beefier version built for overclocking. Even so, $999 is still borderline on being too much for what you get in return. Way too much for an FE or reference card for sure. Should be $150-200 less for an ordinary GPU IMHO. Isn't being a beta tester nice. Johnksss, Papusan and Mr. Fox like this. Yeah, and paying to get to be one makes it even "nicer" (not). Johnksss and Papusan like this. It has it's up's and downs. Only if you always look at the glass as half full. Ultra Male, Papusan and Johnksss like this. We don't need more big daddy government to solve a problem that can more easily be addressed by people not being so eager to jump on the "latest and greatest." Hopefully this rash of RTX failures will teach at least a few of those folks that lesson. AHMED KARAM and Mr. Fox like this. If you don't have to use your own money to fund the testing there is no downside. The problem occurs when something that was not tested thoroughly enough is put into production as though it were actually ready, even though it isn't, and all sorts of issues begin to surface. I think that is what you were hinting at using sarcasm, and I would agree with that perspective. saturnotaku, Papusan, AHMED KARAM and 1 other person like this. 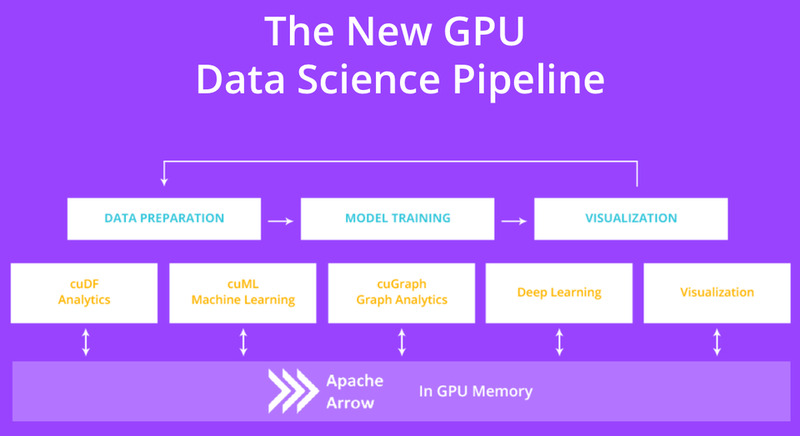 NVIDIA has launched an open source project called Real-time Acceleration Platform for Integrated Data Science (RAPIDS) that aims to deliver end-to-end data science infrastructure based on GPUs. Papusan and Mr. Fox like this.